What happens when you rummage through Grandmother’s end table? The risk is discovery of something that needs to be dealt with, such as hundreds of postcards sent and received over three decades (1964-1994) of world travels with teacher groups. The first sort was to separate sent from received. 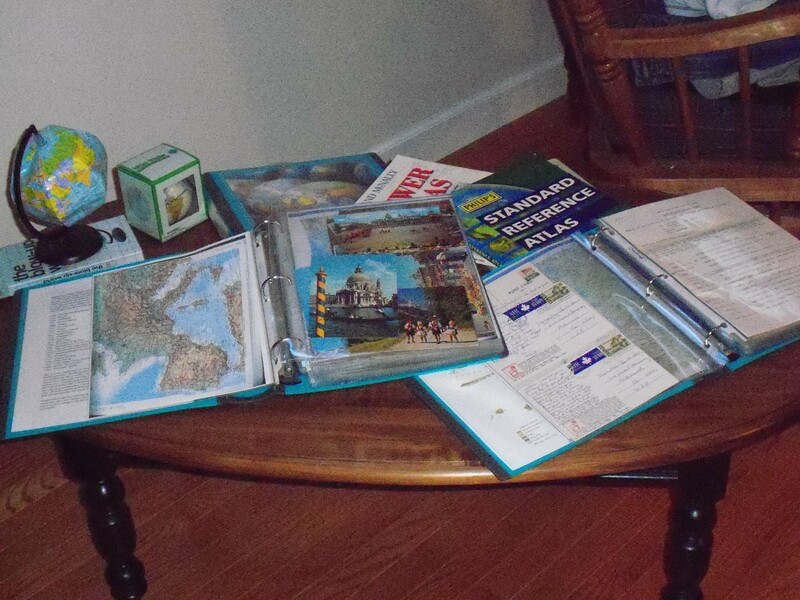 Then, thanks to Mom saving itineraries, the post cards are arranged by trip, in chronological order. I used three binders, two for Mam-ma’s travels and one for friends and family. I chose binder pages so the cards could be viewed from both sides without removing from the sleeve. The text, date and postage from country of origin are easily observed. Post cards from Iceland are featured in the photo below. Why use a camera? Buy post cards. 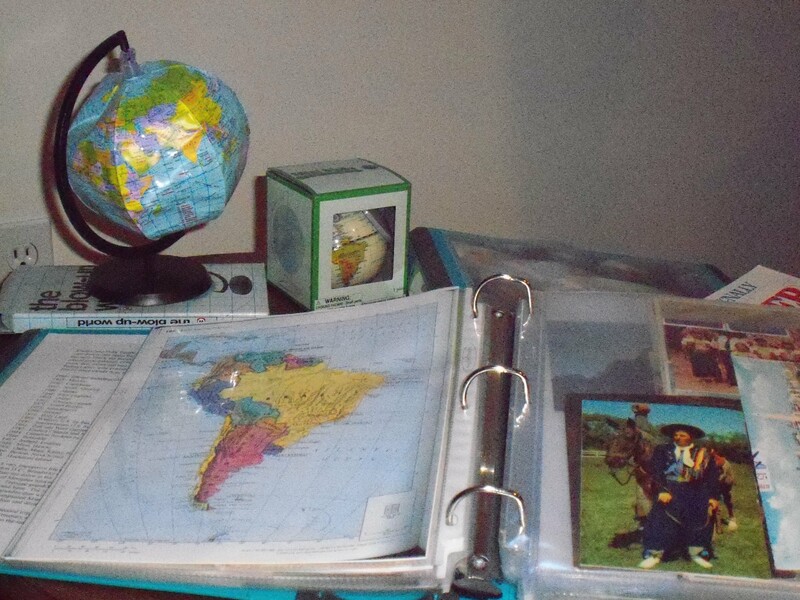 Having reference maps was essential to understanding the many regions Mam-ma travelled. 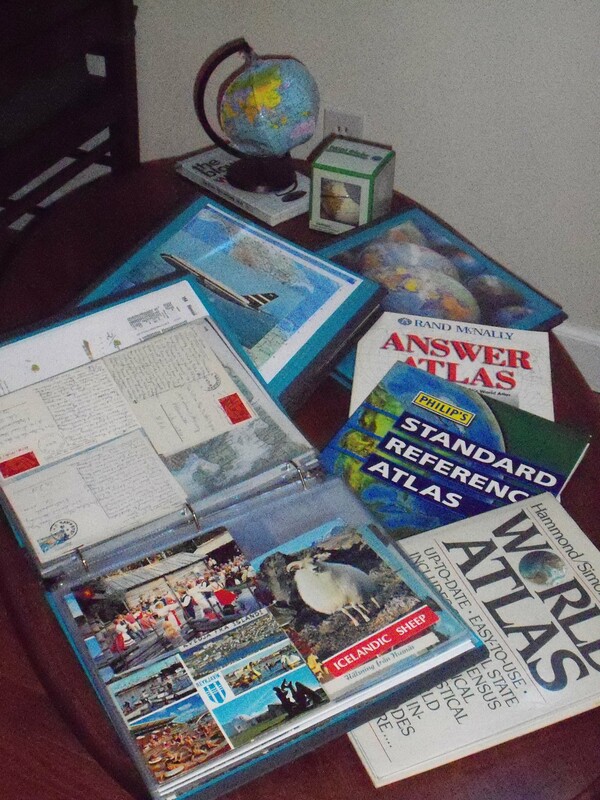 Originally, I was going to remove the pages from atlases purchased at Half Price Books, however many times I wanted to use both sides of the pages in different section of the binder. 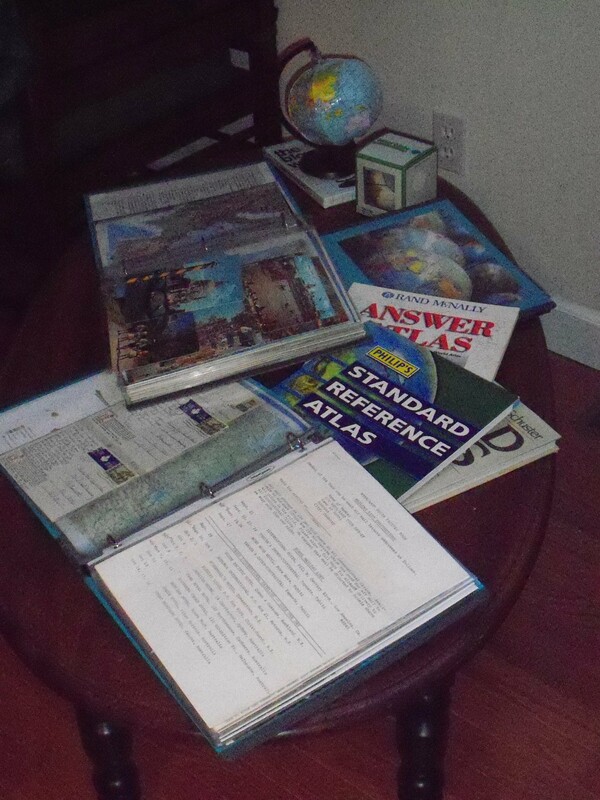 Solution: I made color copies from the atlases. Mom saved all Mam-ma’s itineraries typed in the format shown above. This was very helpful with sorting. World travel of our grandmother’s life time ready to share with inquiring minds. I think that us a great cherished memory. You have done your grandma proud by displaying for the entire family to see and relive those getting he post cards, I hope the will be passed. Along to the younger generation in your family with stories to go with the cards. You can’t find old cards with memories attached on line. What a treasure! I bet you can relive your grandmother’s travels just by reading the postcards. Love your organizational strategy for saving and providing access to these items.